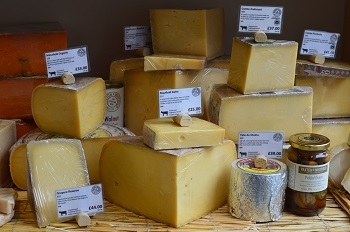 Our Monthly Cheese Society is perfect for any lover of cheese! A selection of 4 artisan cheeses delivered to your door each month! £35 per month including delivery. Devon Blue - A firm textured blue cheese made by hand in the Dart Valley. Vintage Oke - A smooth but crunchy texture leaving an intensley long lasting flavour. Fleur de Sologne - A pretty soft French goats cheese with a natural rind and creamy delicate flavour. Francis - Has a wonderfully pungent aroma with a creamy and fruity flavour.